Massoia Bark Oil (Indonesia) - Ultra International B.V.Ultra International B.V.
Massoia bark is graded by its C10 lactone content and is available in grades of 50%, 65%, 90% and 95%. Produced from the bark of the massoia tree, the lactone is used as food flavouring and as an additive in the dairy industry. The tree is native to Indonesia, gown at altitudes between 400m-1000m above sea-level. 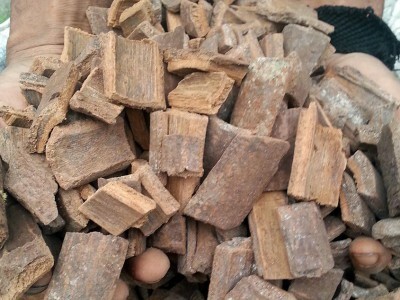 The oil is produced by steam distillation after the chopping then pre-grinding of the tree bark. The market is robust with strong and steady demand and competitive prices. There is an unremitting and improving supply of steam distilled massoia bark oil (50-60% C10 lactone) both from the source, and in Java. This has not necessarily resulted in a better product. However, it has definitely overtaken last year’s figures of CO2 extracted volumes. Market dynamics have taken interesting twists and turns and 2019 promises to throw up exciting developments for massoia bark oil.